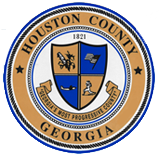 The mission of Houston County State Court is to seek justice and truth in everything we do. To accomplish our justice mission, we focus on three important areas: efficiency, innovation, and service. Efficiency is hearing cases without undue delay, moving cases speedily to a just result, and being effective in our use of resources. Innovation is using the most effective means of communicating with State Court customers, utilizing most effective methods of punishment, deterrence, and incentives and developing new ways of dealing with heavy caseloads. Finally and perhaps most importantly, recognizing that as public servants, service to the community and the taxpayer are and will remain our highest calling. Every member of the State Court family is dedicated to providing the best possible customer service. Everyone serves a vital part, from jurors who serve sometimes at great personal cost and inconvenience, to law enforcement who work all night and must testify the next morning, to defendants who are charged with crimes but are presumed innocent until proven guilty. Their time must not be wasted, and we must do our upmost to ensure as smooth an experience as possible with the Court. That is our mandate, and while we may fail to achieve the highest level of service on occasion, we will never fail to try. Thank you for visiting.